14h15. Présentation du colloque par : Carlos Heusch (ENS de Lyon, UMR 5648 CIHAM). 14h30. Bénédicte Sère (Université Paris Ouest Nanterre), « Amitié et hiérarchie. Une histoire de l’équilibre affectif ». 15h00. Christopher Davis (Northwestern University), « “Lo sen e·l Saber e la Conoissensa”. De l’amour à l’amitié dans les Razos de Bertran de Born ». 16h30. María Díez Yáñez (ENS Lyon – UC Madrid), « “Amicitia est maxime bonorum exteriorum”. Pedro Fernández de Velasco, I Conde de Haro, y la amistad regia ». 17h00. Georgina Olivetto (Univ. de Buenos Aires), « Alonso de Cartagena y la amistad virtuosa ». « φιλíα › amor, amicitia › ¿amor, amicicia o amistad? Las traducciones de φιλíα en las traslaciones hispánicas de la Ética nicomaquea en el siglo xv ». « L’amitié antique à la cour de Jean II. Le cas du Tostado ». 11h30. Antonella Liuzzo Scorpo (University of Lincoln), « Amistad, comunicación y diplomacia: perspectivas ibéricas en el siglo xiii ». 12h00. Gemma Pellissa (Universitat de Barcelona), « Amistad entre literatos: relaciones epistolares entre escritores catalanes y castellanos en la segunda mitad del siglo xv ». Le programme « Theorica » se propose, en réunissant des spécialistes du moyen âge, de revisiter l’idée reçue selon laquelle la période médiévale serait un temps asystématique et par conséquent inapte à toute théorisation. Ainsi, on se propose d’étudier comment on a pu arriver à construire un discours théorique selon des paramètres et des modes d’intellection qui sont propres aux pratiques discursives médiévales. 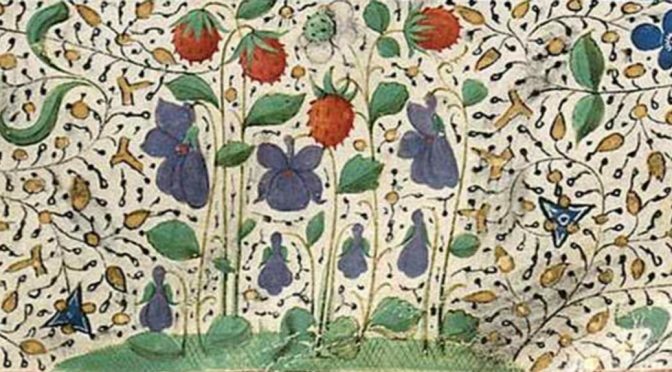 « Theorica VI De amicitia » est le fruit du partenariat entre l’ENS-CIHAM et le projet « Poder, espiritualidad y género (Castilla: 1400-1550). MINECO-FFI2015-63625-C2-1-P » dirigé par María Morrás (https://www.upf.edu/web/poder-espiritualidad-genero). 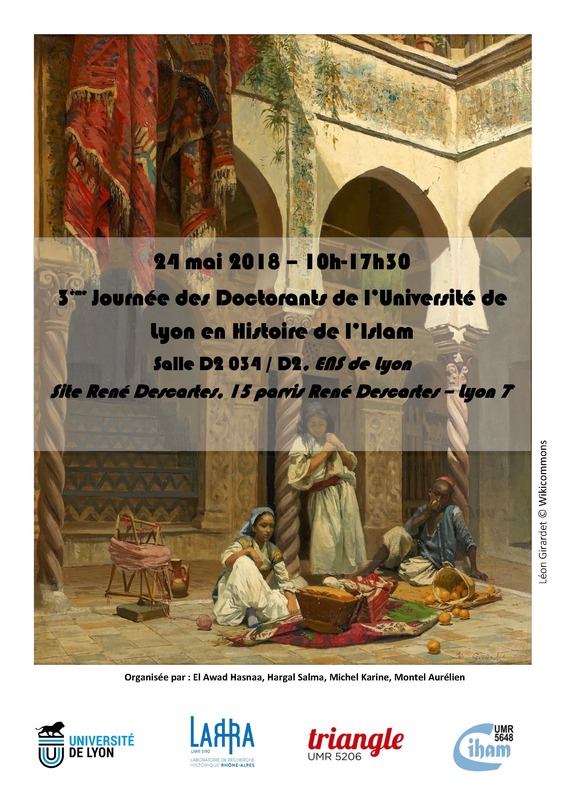 Pour la troisième année consécutive, la casa Velazquez organise le 24 mai prochain la troisième journée des doctorants de l’Université de Lyon en histoire de l’Islam. 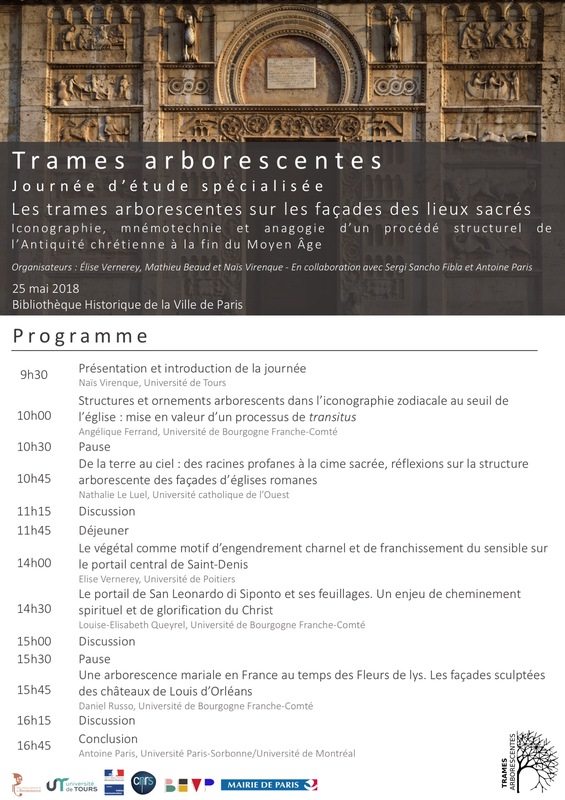 Cette rencontre, ouverte à toutes les disciplines (histoire, archéologie, littérature, linguistique, philosophie, etc.) présentes sur l’ensemble de la place lyonnaise (Lyon 2, Lyon 3, ENSL, etc. ), se veut un lieu d’échange scientifique, mais également un lieu de rencontre. Nous nous proposons ainsi de faire découvrir des aspects particuliers de l’histoire des mondes musulmans, et d’échanger sur les thématiques de fond comme sur des questions méthodologiques, en présence de doctorants comme de chercheurs confirmés. The conference is structured round three main subject areas: (1) Humanist thinking today; (2) The subtle sciences vs hard sciences; and (3) Posthumanism: beyond humanism? Each of these thematic areas will consist of oral presentations (papers) as well as workshops conceived above all as spaces for dialogue and debate. We are all well aware that the humanities, inspired by humanist thinking, have changed the world. We are talking about values, ideals and a particular way of understanding reality. We are talking about critical thinking, ethical thinking, creative thinking. No-one would question the need for the humanities. Nevertheless, there is a question relating to whether the humanities, as they have developed over time, continue to raise questions and at the same time provide valid answers to the challenges confronting society today. It is possibly the case that the false myths that have grown up under the protection of the humanities have led them to their current crisis. Humanist thinking relates to the human species in its entirety, but to what extent does it address the diversity that globalization is currently making more patent than ever? Can humanist values be said to be in decline in the world? To what extent do the dynamics of those societies forged by the humanities offer a faithful reflection of humanistic values? What, in fact, are these values? Is it necessary perhaps to humanize the thinking and practices of the humanities? It was in the nineteenth century that a clear awareness emerged of the separation between the type of knowledge focused on human issues and that which sought to understand the natural world. This resulted in the distinction between two areas of knowledge, which later became three: natural sciences, social sciences and the humanities. Reference is made to the hard sciences, and the soft sciences, although the pejorative tone of the word ‘soft’ has led to a preference, on occasion, for the term ‘subtle sciences’ (Rosi Braidotti). Clearly, there are no hard and fast divisions between these categories; rather, there are bridging disciplines such as the cognitive sciences, neurolinguistics or evolutionary anthropology. However, despite this, the fragmentation of scientific practices can create a problem when, beyond the needs of specialization, the ideal of consilience is not taken into consideration. Transdisciplinarity is essential. The object of study, the theory and the methodology basically determine the differences between the disciplines, but are the administrative divisions in universities and research centres, as well as the bureaucracy of the political sciences, connected with this pigeon-holing? Do the humanities need the hard sciences for their conceptual health, as has sometimes been argued? To what extent can the ‘subtle’ sciences offer a buffer against the scientism or, on the contrary, be negatively influenced by it? Could it be necessary, within the field of the humanities, to take into consideration criteria of productivity, evaluation and accreditation different to those cultivated in the hard sciences? 3. Post humanism : beyond humanism ? Posthumanist theory has criticized humanism which is seen as a specific historic phenomenon, considered insufficient to understand the complex network of interrelationships between human beings and their environment. Going beyond the antihumanism posited, for example, by Heidegger, Althusser or Foucault, posthumanism takes as its starting-point a different conceptualization of the human, adopting a decentralized approach. It asserts the need to modify our anthropocentric view of life and of reality in a general sense, and within its characteristic non-dualist type of ontology, greater importance is given to relationships than to entities. As in non-representational theories, it aims to go beyond the understanding of reality exclusively from logocentric models. In this way, these theoretical perspectives afford not only a promising field for research in the general re-orientation of the humanities, but also a strong element of social criticism. To what extent can posthumanism be said to imply radical change in how we understand the relationship between individual and collective? On what basis can we affirm the existence of a posthuman condition in today’s world? How can the criticism and overcoming of anthropocentrism be as beneficial for the different humanities disciplines as have been the attempts to overcome ethnocentrism and androcentrism? The raising of this kind of question makes posthumanism not only an ambitious intellectual challenge but also a moral necessity that must be confronted.